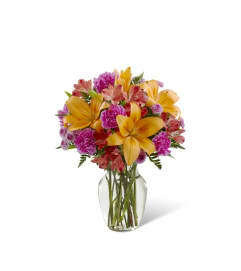 The FTD® Thinking of You™ Bouquet blooms with roses, lilies and carnations to send your special recipient a flower bouquet exuding a soft sophistication. 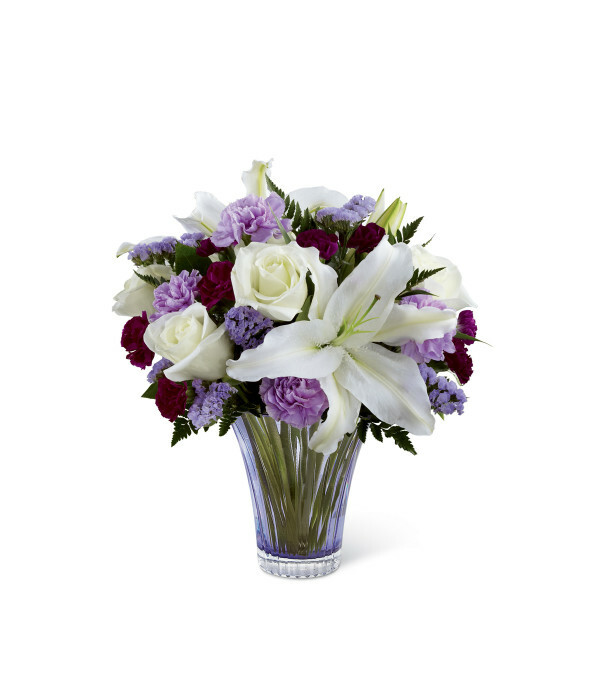 Gorgeous white roses and white Oriental Lilies are perfectly offset by lavender carnations, purple mini carnations and lavender statice to create an incredible flower arrangement. 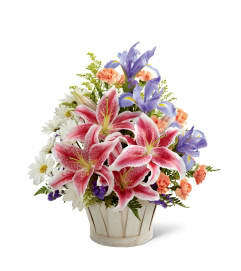 Presented in a designer lavender glass vase featuring hand cut accents, this mixed flower bouquet is a wonderful gift to send in honor of a birthday, anniversary, to offer your congratulations or to extend your thanks and gratitude.